Here you go folks. 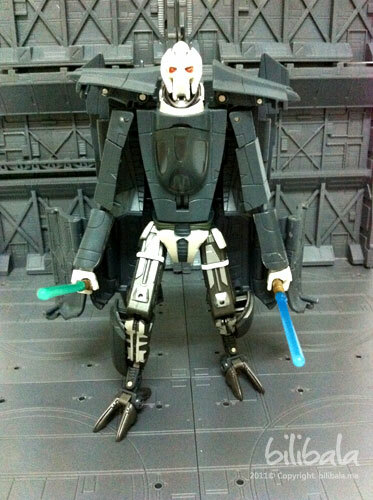 My 2nd review on Transformers Starwars Crossover toy and this time will be the evil General Grievous which is in the alternate form of Grievous Starfighter. 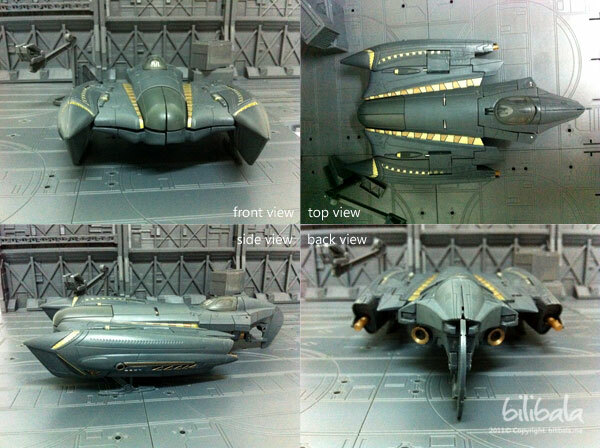 I personally like this toy as it has a cool space craft mode and a robot mode. Read on! As usual, let’s starts off with the overall of this toy. The plastic quality is good and however, the joints tend to be a bit loose. 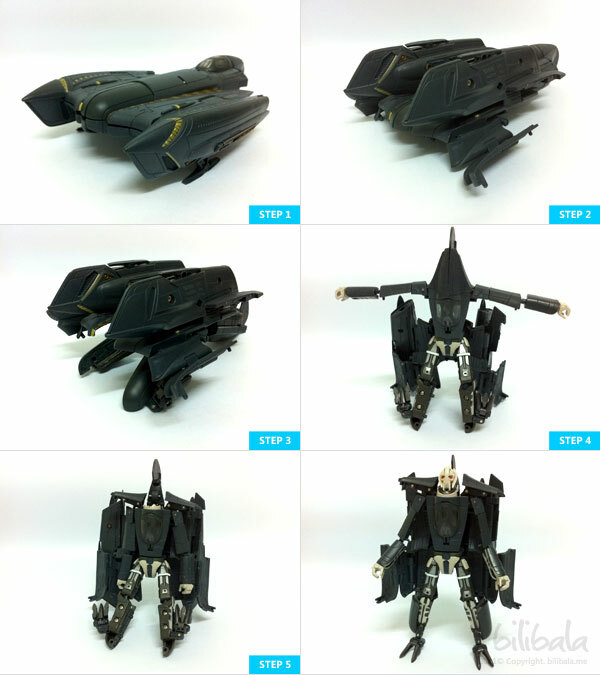 I mean LOOSE in both spacecraft and robot mode. In space craft mode, the closing between 2 parts are not firm. You can notice it from the picture below for the spacecraft front. 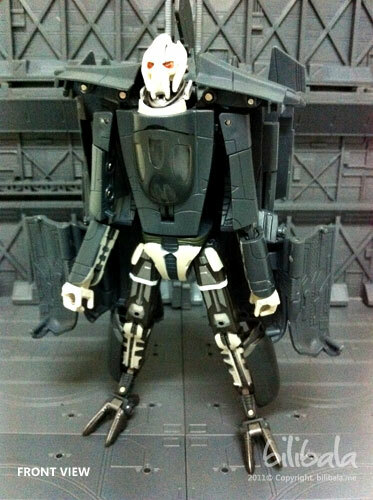 And for the robot mode, the hand joints are loose as well and tends to be very fragile. However, the coloring and detailing for the overall is quite encouraging. Certain parts of the space craft is painted with gold chrome/gold metallic color as well. I will elaborate more on this below. Unlike the Snowspeeder that i have reviewed earlier, this Starfighther does not come with a 1 inch figure. 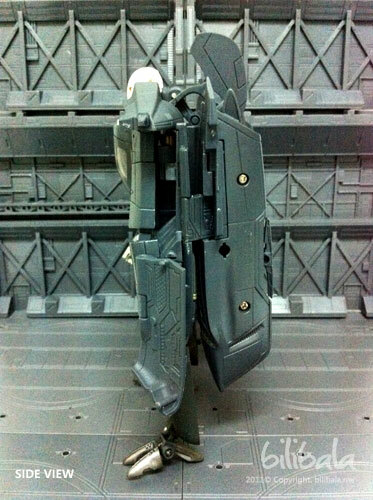 And the sad part is, the 1 inch figure will be completely faced out in all new Transformer Starwars Crossover line. I guess is due to the cost of manufacturing an additional figure is too high for them and ended they have to scrap the idea of including the figures. Too bad. 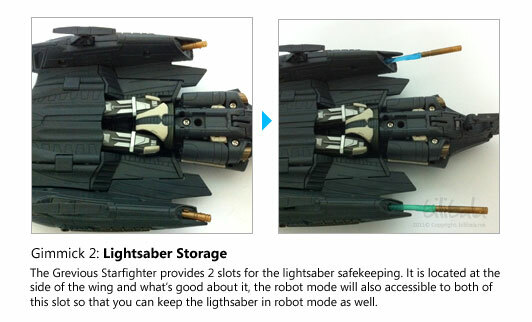 The alternate mode for General Grievous is the Starfighter itself. As mentioned, you can notice the bow part of the craft is not properly closed. As you can see from the picture above, the amount of details is quite impressive. There are the gold chrome parts being used for the afterbunner at the stern of the ship and different colorings have been applied to the body of the ship as well. 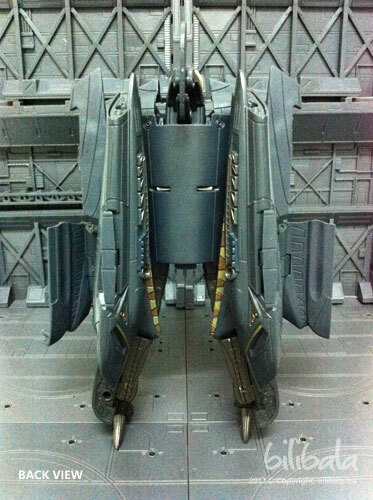 The ship is almost similar to those non-transformable Starwars toys which is quite cool. 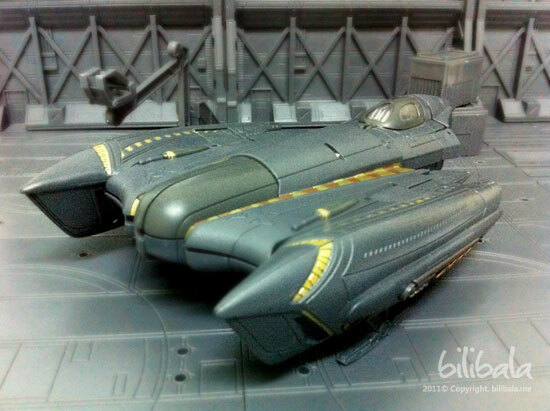 The ship has 2 landing gears as well so that you can put it at rest on any flat surface. 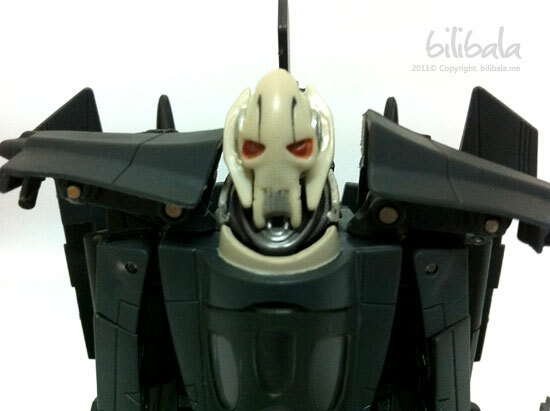 The General Grievous robot form can be said is 1 of the best looking robot form in my Starwars Crossover collection. Reason being, it has a more balanced body figure as compared to others in the same line. For example, the Snowspeeder Luke Skywalker has a turtle back. The robot itself has 14 articulations: 1 x head, 2 x upper arm, 2 x middle arm, 2 x hands, 1 x waist, 2 x upper legs, 2 x knees, 2 x legs. Although it has 14 articulations, it is quite hard to pose him due to certain articulations have limited movement, e.g. the middle arm which cant really bend 90 degree. This Grievous does not have 4 hands with 4 light sabers. Instead, it has only 2 which is good enough. I can’t really imagine IF this robot has 4 arms, it will definitely look very weird. It is relatively easy for the transformation and it is quite straightforward. The space craft mode is nice and the robot form is so far one of the prettiest in my Starwars Crossover collection. Too bad, with the absence of the 1 inch figure, it does make the space craft a bit lonely. And one more downside of it being certain parts can’t close properly (or being loose) which is also quite an annoying problem. My personal rating for this would be 7.5/10.